German Chancellor Angela Merkel made a visit to key ally Turkey on Sunday, meeting with both President Recep Tayyip Erdogan and his Prime Minister, Ahmet Davutoglu. She came with Europe’s refugee crisis and Syria top of the list of things to discuss, and to get enhanced Turkish co-operation she offered to help revive Turkey’s stalled EU membership talks, and fast-track Turkey into the border-free Schengen zone. “Of course we expect things in return. There is an agreement on migrants between Turkey and the European Union and this holds true for third countries as well but of course visa liberalisation and readmission agreements should also go into effect,” said Merkel. “We are ready to fight against illegal migration, against human traffickers who exploit desperate people. Turkey is ready for all kinds of cooperation in this regard.” promised Davutoglu. However Merkel may find herself in a minority with other EU members preferring to keep Turkey at arms length, at least for the time being. “I don’t think there will be strong steps to move forward with Turkey and Europe, because Europe still believes that this crisis can be solved by giving Turkey a few billion dollars or euros,” says the Turkish German University’s Dr. Enes Bayraklı. 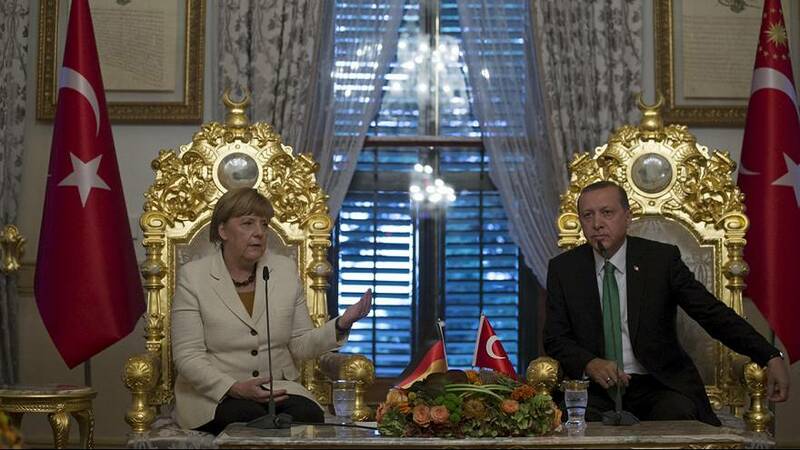 “It seems that the refugee crisis has brought Turkey and Germany closer after years of chilly relations. Merkel’s short visit to Turkey prepared the ground for a new era of cooperation,” says euronews’ Bora Bayraktar.